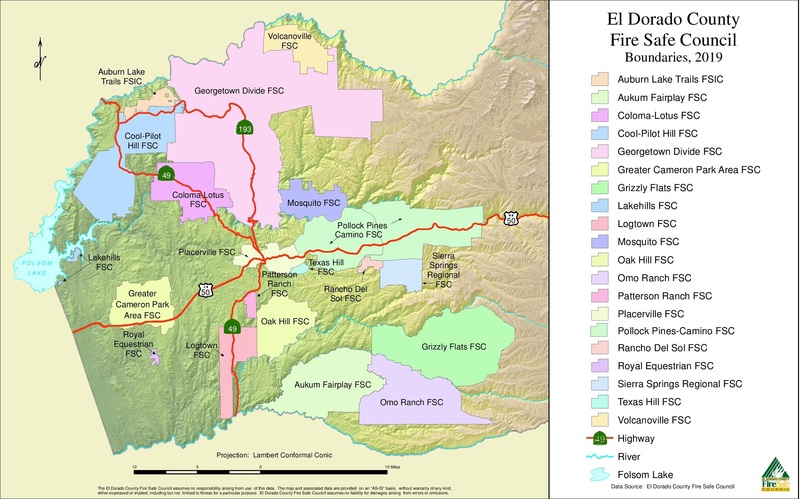 Consider donating to the El Dorado Fire Safe Council and help support programs that work to ensure the safety of El Dorado County’s citizens and natural resources! We are a California non-profit, Public Benefit Corporation recognized by the Internal Revenue Service as a 501(c)(3) tax-exempt organization. As stated in our Bylaws, our mission is “to protect the people of El Dorado County and their property from the effects of catastrophic wildfire through education, cooperation, innovation, and action.” The council was organized in September 2001 and currently has over 150 individuals from the public and private sectors on our Council Communication Network who are committed to making El Dorado County more fire safe. Through community outreach and public education, we endeavor to make residents of the County aware of the risks of living within a Wildland Urban Interface and what they an do to protect their home and property from wildfire. Join the effort and see how you can make a difference in your community. Let us help you clear defensible space around your home and remove excess fuels from your property. This no-cost program is available to residents of the Western Slope of El Dorado County. Click on the "Action" tab above to see more information and to apply for the chipping program. If you need Adobe Reader, please click here. If you would like to make a donation click on the button below to go to our donation page. What if you are not at Home? The reverse 911 system only notifies your land line!